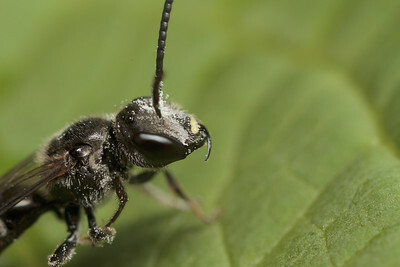 A yellow-masked bee (Hylaeus sp.) 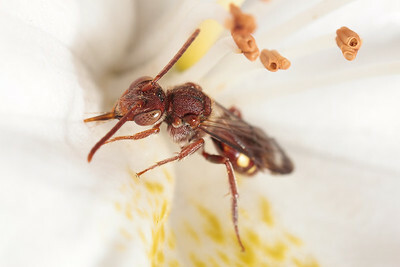 grooms on a flower petal. 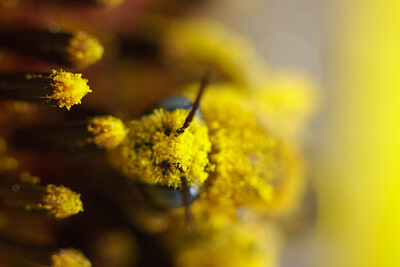 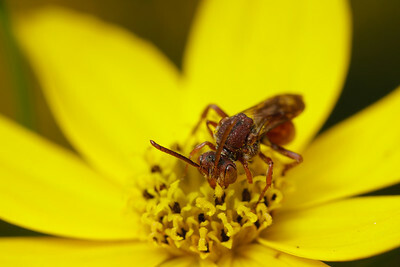 A cuckoo bee (Nomada) tastes the surface of a flower after collecting nectar. 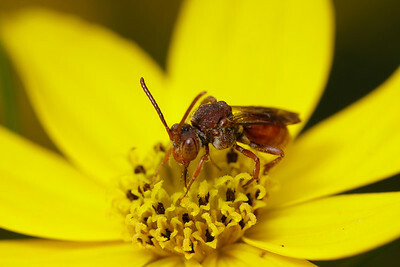 A cuckoo bee drinking nectar. 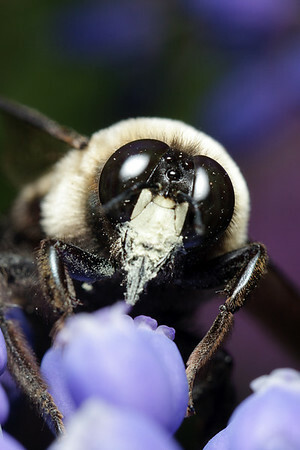 A male carpenter bee (Xylocopa virginica) is dusted with pollen as he probes a flower for nectar. 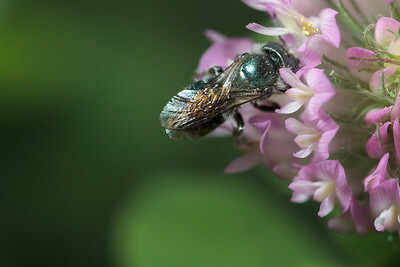 A bee, already covered in pollen, heads deeper into a purple flower. 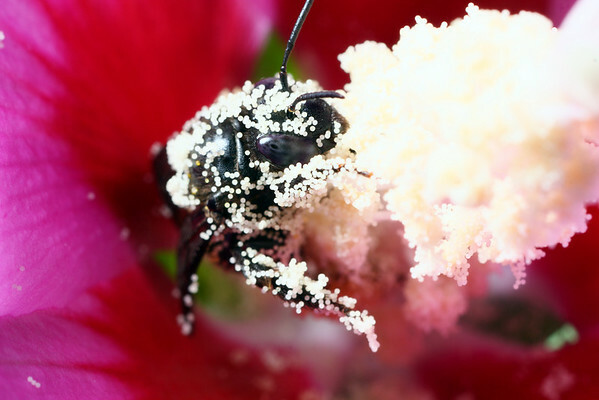 A solitary bee, barely visible beneath the pollen of a hollyhock flower, looks out at the photographer. 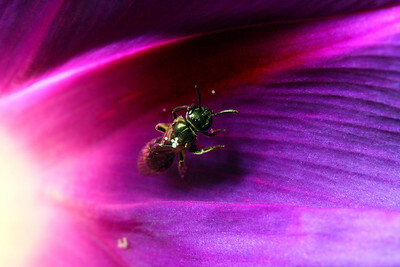 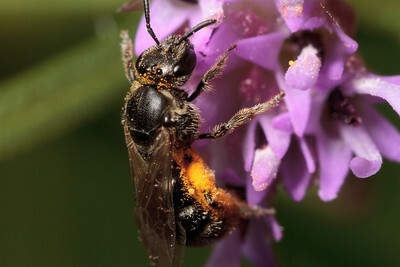 A tiny solitary bee with a few grains of pollen stuck to its back crawls along the inside of a glowing purple flower. 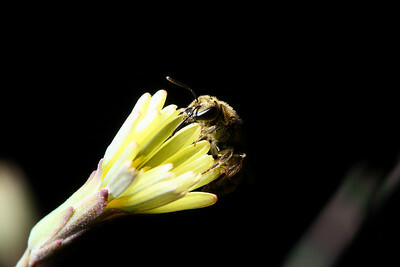 A solitary bee perches on the edge of a flower that hasn't yet opened for the day. 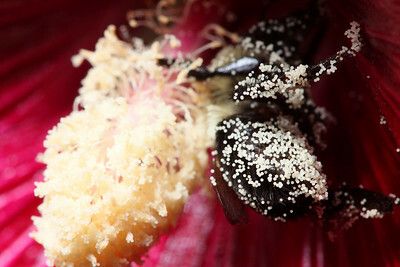 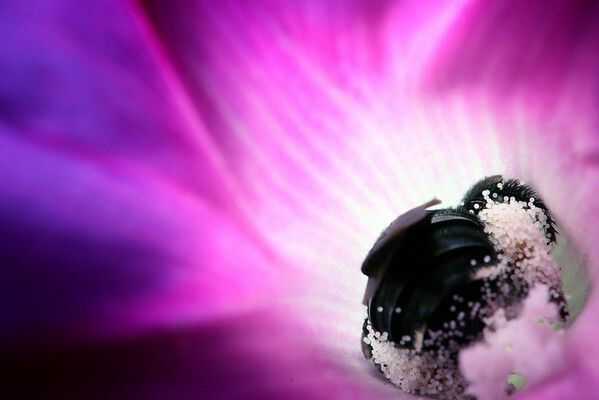 A carpenter bee covered in pollen gathers nectar from deep inside a hollyhock flower. 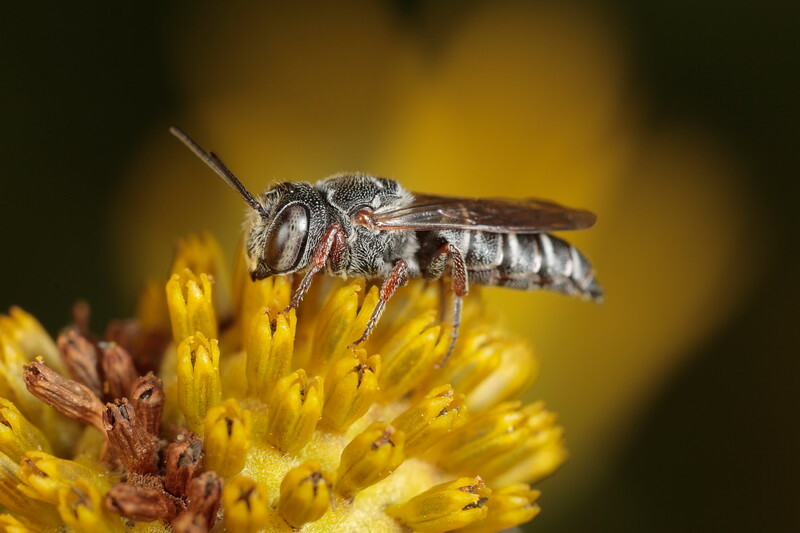 A Coelioxys bee forages for nectar. 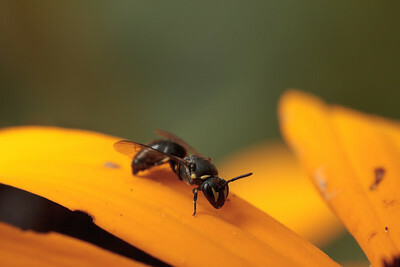 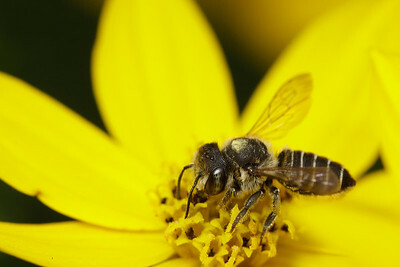 These bees are kleptoparasites that lay their eggs in the nests of leaf-cutter bees.